EXCERPTS FROM “THE MAN BEHIND THE BATON” BY DR. WILLIAM P. FOSTER: Excerpt Six – The FAMU Band Camp – Block Us Up! Bring about an increase in majors in the Department of Music. Ensembles to include Brass Winds, Woodwinds, Percussion, Octet, Sextet, Quintet, Quartet, and Trio. The booklet explains the use of a support system that included personnel conductors, staff members, student assistants, office staff, secretaries, and clerks. 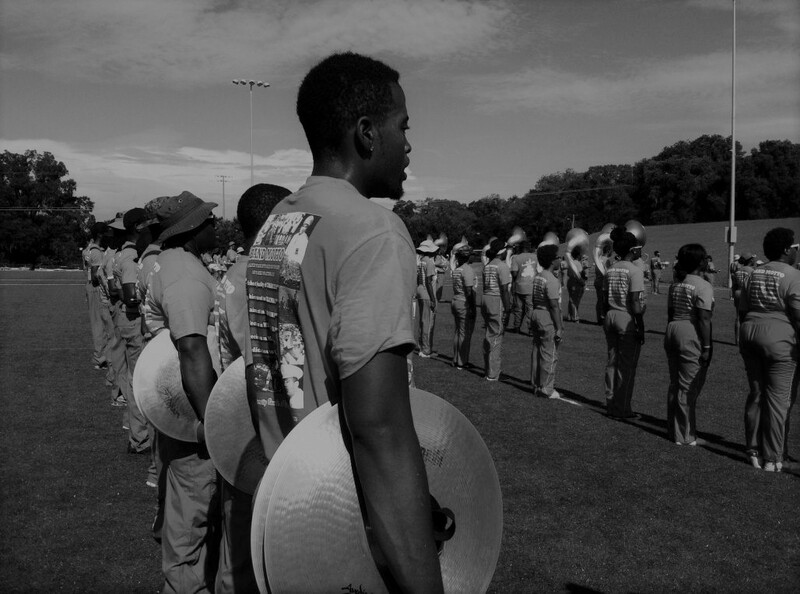 Information on how to provide room and board for band camp participants, the schedule of events, and use of facilities were included in the band camp guidelines… There were a number of good outcomes that could be realized from a FAMU Marching Band Camp. Besides the fact that the camp would help the University in its recruitment efforts, the camp would also give prospective band students the opportunity of learning and actually performing basic techniques of playing, marching, and other things associated with improving the proficiency on marching and playing. The camp will also give my staff the opportunity early on to identify excellent or potentially quality students who could be encouraged to attend FAMU and participate in the marching band. In turn, the students who attended the camp would return to their schools and share what they had learned. This could improve the quality of their individual bands and inform others of the Marching “100”. Although the concept began in the early 1950s, we were unable to conduct the program at FAMU due to budgetary constraints. In 1990, more than 37 years after developing the band camp concept, the Department of Music received financial backing of continuing education.